“It shall come to pass in that day that the Lord shall set His hand again the second time (will send a messenger, a prophet) To recover the remnant of His people who are left, From Assyria and Egypt, From Pathros and Cush, From Elam and Shinar, From Hamath and the islands of the sea. He will set up a banner (sign) for the nations, And will assemble the outcasts of Israel, And gather together the dispersed of Judah From the four corners of the earth. full strength into the cup of His indignation. He shall be tormented with fire and brimstone in the presence of the holy angels and in the presence of the Lamb. And the smoke of their torment ascends forever and ever; and they have no rest day or night, who worship the beast and his image, and whoever receives the mark of his name.” Here is the patience of the saints; here are those who keep the commandments of God and the faith of Jesus”. the second time (will send a messenger, a prophet)To recover the remnant of His people who are left, From Assyria and Egypt, From Pathros and Cush, From Elam and Shinar, From Hamath and the islands of the sea. He will set up a banner (sign) for the nations, And will assemble the outcasts of Israel, And gather together the dispersed of Judah From the four corners of the earth. modern nations existing at End Times) who have not heard My fame nor seen My glory. And they shall declare My glory (Eternal Gospel) among the Gentiles. for the harvest of the earth is ripe (those who believed the preaching of the gospel). ” So He who sat on the cloud thrust in His sickle on the earth, and the earth was reaped. a house not made with hands, eternal in the heavens”. From heaven he will return in a totally restored body with the physical appearance of a 27 to 30 years old man full of renewed youth and energy, and with the complete knowledge of all the final events prior to the Second Coming in glory of our Savior Jesus Christ. To this bodily restoration what we call the vindication. of the wine of the wrath of her fornication, (a false gospel of salvation of faith plus deeds) the kings of the earth have committed fornication with her,and the merchants of the earth have become rich through the abundance of her luxury.” And I heard another voice from heaven saying,“Come out of her, my people, (to come out of the churches in apostasy) lest you share in her sins, and lest you receive of her plagues. This Vindication will be the awesome sign that God will bring to draw the attention of the whole world to listen to the voice of Luiko of Jesus, who is the third angel, in order to make the world understand the inevitable reality of God’s Judgment that will come upon the whole earth. “The great day of the LORD is near; It is near and hastens quickly. The noise of the day of the LORD is bitter; There the mighty men shall cry out. Because they have sinned against the LORD; Their blood shall be poured out like dust, And their flesh like refuse.” Neither their silver nor their gold. For He will make speedy riddance Of all those who dwell in the land”. all you meek of the earth, Who have upheld His justice. Seek righteousness, seek humility. It may be that you will be hidden In the day of the LORD’s anger”. The way God has freed us from the coming wrath is through His mercy, that is, the gospel, which is the historical work of Jesus as our representative on behalf of the human race for the salvation of whoever chooses to believe in Him. O LORD, revives Your work in the midst of the years! In the midst of the years make it known; In wrath remember mercy”. even Jesus who delivers us from the wrath to come.”. 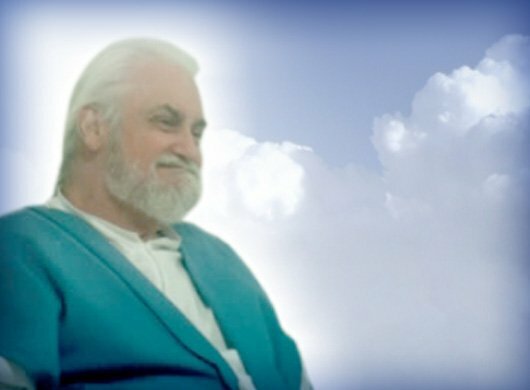 Dear reader, the vindication of Luiko of Jesus is about to be fulfilled: the Lord Jesus has taken him up to heaven; the only event left is his sure return as the Messenger of God, the Third Angel, the angel that will descend (Revelations 18) to bring through his preaching the glory of the eternal gospel, that is, the total dependence of the righteousness of Christ wrought on the Calvary in representation of the human race. For this reason, it is imperative for you to stay in touch with The Voice of the Third Angel to be well informed of everything concerning the vindication of Luiko of Jesus through the written and audio bible studies that you will find in this section. Through these bible studies you will be able to fully understand the significance and trascendence of this prophetic event. We exhort you to patiently await the sure fulfillment of this prophecy: the return of Luiko of Jesus and his final evangelical preaching that will allow you to join the remnant of the people of God in these final days. “May God take care of you in his divine love”. and make it plain on tablets, that he may run who reads it. wait for it; because it will surely come,it will not tarry”. The words or phrases in parenthesis inserted within the biblical passages are intended to help the reader understand the interpretation of these passages without altering the wording of the original text.